Towardliness – a good disposition towards something, willingness, docility, promise. Young Farmers are getting plastered for a good cause. They’re fronting up to support A Rural Women New Zealand’s initiative to highlight the need for women of all ages to be alert to any changes in their breasts. Let’s Get Plastered for Breast Cancer is a nationwide event involves women, and some men, creating plaster sculptures of their torsos, which are going on display in galleries and cafes all over the country for Breast Cancer Awareness month in October. Rural Women New Zealand will donate profits from the sale of the plaster kits to the NZ Breast Cancer Foundation. And the fun doesn’t stop there. The women will be displaying their decorated breast sculptures at the Wellington Young Farmers’ Ball on 16 October, where they’ll be up for auction. “As well as donating money to the NZ Breast Cancer Foundation through Rural Women New Zealand, we plan to raise extra funds from the auction for rural people affected by the Canterbury earthquake,” says Ms van Reenen. You can find details on how to get a plaster kit and tickets to the ball at Rural Women NZ on the link above. 6/10 in NZ History Online’s weekly quiz. This Tuesday’s poem is After Tomato Picking by Maria Garcia Teutsch. Stone is not Stone by Carson McCullers; Mary McCallum’s The Bookshop, Clare Beynons’ Daylight Saving, Boys, Please Don’t Rock The Boat by Alicia Ponder and Dutch Interior by Eillen Moeller. Just as I was gearing up for a rant about the stupidity of introducing daylight saving in the middle of winter the weather has let me down. Last year and the year before and the year before that, as is usual for this time of year the weather was cold and wintery. Last week it was wintery. But since the clocks went forward on Sunday we’ve had nor westers and the temperatures got to the late teens on Monday and yesterday. I’m not complaining, after a very wet winter, heat and drying wind is just what we need. But two warm days, do not a spring make. The weather is almost always variable at this time of year and the forecast for later in the week is for cloud and rain. However, whatever the weather, it doesn’t change the fact that this close to the spring equinox we have only a little more than 12 hours between sunrise and sunset. That means moving sunset from 6ish to 7ish in the evening has moved sunrise from 6ish to 7ish in the morning although that doesn’t worry everyone. My campaign to delay the date on which the clocks go forward isn’t getting much traction. Only 13 people have joined my delay daylight saving group on Facebook. The Panel discussed the issue on Afternoons on Monday (part 2 towards the end) and there was no enthusiasm for change from them. Peter Dunne justified us having six months of daylight saving by comparing us with other countries. That is irrelevant – they’re at different latitudes and longitudes, they’re nearer the equator than we are and most have continental climates (which if memories of school geography serve me right means they heat up faster so will get warmer sooner in spring). Still, why would a politician let the facts get in the way of a pet policy? 8/10 in the Dominion Post political trivia quiz. My knowledge of Wellington geography and Roger Douglas’s gambling preference let me down. 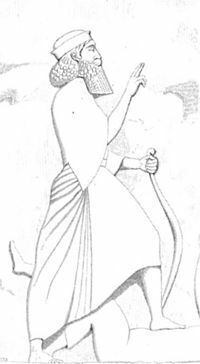 522 BC – Darius I of Persia killed the Magian usurper Gaumâta, securing his hold as king of the Persian Empire. 480 BC Battle of Salamis: The Greek fleet under Themistocles defeats the Persian fleet under Xerxes I. 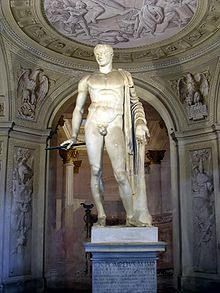 61 BC Pompey the Great celebrated his third triumph for victories over the pirates and the end of the Mithridatic Wars on his 45th birthday. 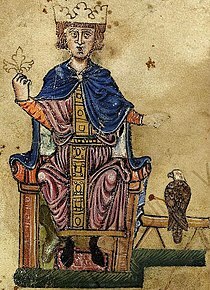 1227 Frederick II, Holy Roman Emperor, was excommunicated by Pope Gregory IX for his failure to participate in the Crusades. 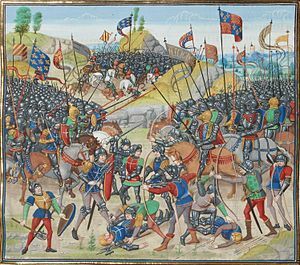 1364 Battle of Auray: English forces defeated the French in Brittany; end of the Breton War of Succession. 1547 Spanish author Miguel de Cervantes Saavedra was born. 1650 Henry Robinson opened his Office of Addresses and Encounters – the first historically documented dating service – in Threadneedle Street, London. 1717 An earthquake struck Antigua Guatemala, destroying much of the city’s architecture and making authorities consider moving the capital to a different city. 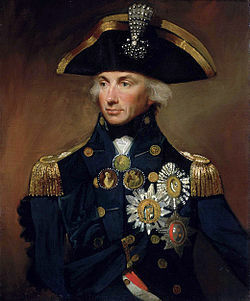 1758 Horatio Nelson was born. 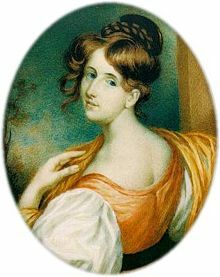 1810 English author Elizabeth Gaskell was born. 1829 The Metropolitan Police of London, later also known as the Met, was founded. 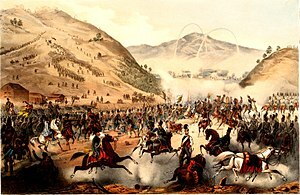 1848 Battle of Pákozd: Hungarian forces defeated Croats at Pákozd; the first battle of the Hungarian Revolution of 1848. 1850 The Roman Catholic hierarchy was re-established in England and Wales by Pope Pius IX. 1862 The first professional opera performance in New Zealand was put on by members of ‘The English Opera Troupe’ and the Royal Princess Theatre Company. 1864 American Civil War: The Battle of Chaffin’s Farm. 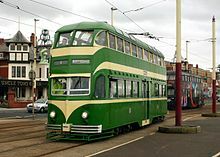 1885 The first practical public electric tramway in the world opened in Blackpool. 1907 The cornerstone was laid at Washington National Cathedral. 1907 US singer Gene Autry was born. 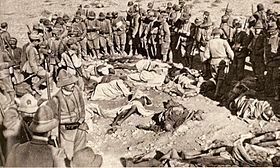 1911 Italy declared war on the Ottoman Empire. 1913 US film director Stanley Kramer was born. 1916 John D. Rockefeller became the first billionaire. 1918 World War I: The Hindenburg Line was broken by Allied forces. Bulgaria signed an armistice. 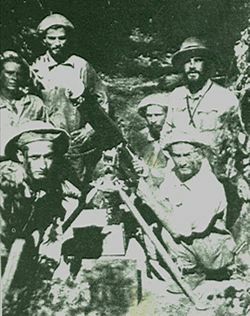 1932 Chaco War: Last day of the Battle of Boquerón between Paraguay and Bolivia. 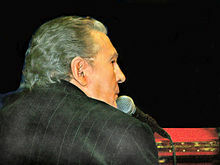 1935 US musician Jerry Lee Lewis was born. 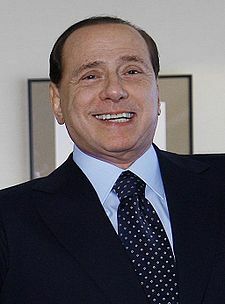 1936 Italian Prime Minister Silvio Berlusconi was born. 1941 World War II: Holocaust in Kiev German Einsatzgruppe C began the Babi Yar massacre. 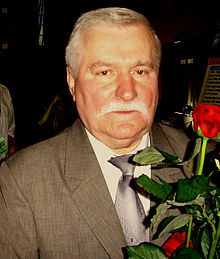 1943 Polish president Lech Walsea was born. 1943 World War II: U.S. General Dwight D. Eisenhower and Italian Marshal Pietro Badoglio signed an armistice aboard the Royal Navy battleship HMS Nelson off Malta. 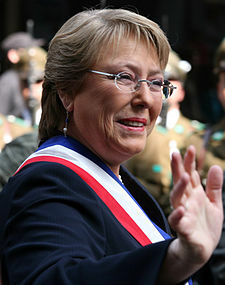 1951 Michelle Bachelet, former President of Chile, was born. 1954 The convention establishing CERN (the European Organization for Nuclear Research) was signed. 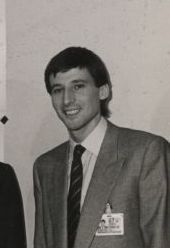 1956 English athlete Sir Sebastian Coe was born. 1957 20 MCi (740 petabecquerels) of radioactive material was released in an explosion at the Soviet Mayak nuclear plant at Chelyabinsk. 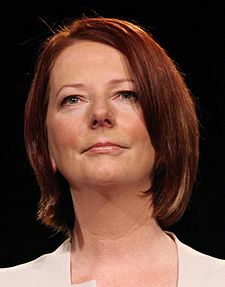 1961 Julia Gillard, Australian politician, Prime Minister of Australia, was born. 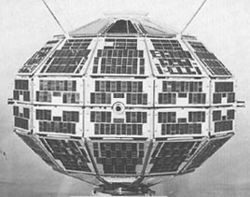 1962 Alouette 1, the first Canadian satellite, was launched. 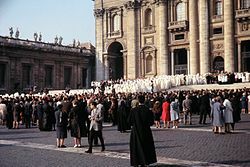 1963 The second period of the Second Vatican Council opened. 1963 The University of East Anglia was established in Norwich. 1964 The Argentine comic strip Mafalda, by Joaquín Salvador Lavado, better known by his pen name Quino, was published for the first time. 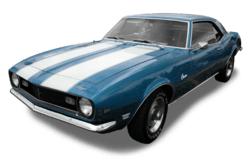 1966 The Chevrolet Camaro, originally named Panther, was introduced. 1975 WGPR in Detroit, Michigan, becomes the world’s first black-owned-and-operated television station. 1979 Pope John Paul II became the first pope to set foot on Irish soil. 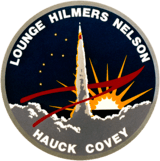 1988 Space Shuttle: NASA launched STS-26, the return to flight mission. 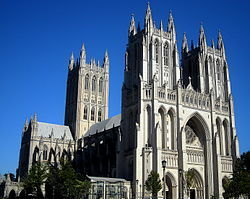 1990 Construction of the Washington National Cathedral was completed. 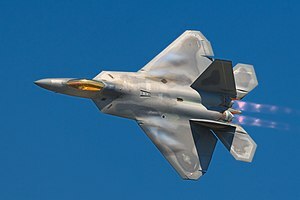 1990 The YF-22, which later became the F-22 Raptor, flew for the first time. 1991 Military coup in Haiti. 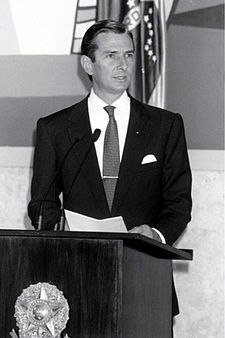 1992 Brazilian President Fernando Collor de Mello resigned. 1995 The United States Navy disbanded Fighter Squadron 84 (VF-84), nicknamed the “Jolly Rogers”. 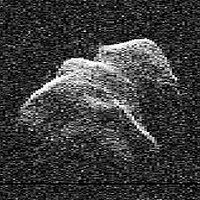 2004 The asteroid 4179 Toutatis passed within four lunar distances of Earth. 2004 – The Burt Rutan Ansari X Prize entry SpaceShipOne performed a successful spaceflight, the first of two required to win the prize. 2006 Gol Transportes Aéreos Flight 1907 collided in mid-air with an Embraer Legacy business jet, killing 154 total people, and triggering a Brazilian aviation crisis. 2007 Calder Hall, the world’s first commercial nuclear power station, was demolished in a controlled explosion. 2008 The Dow Jones Industrial Average fell 777.68 points, the largest single-day point loss in its history. 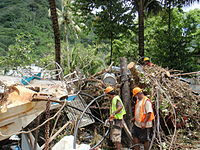 2009 An 8.0 magnitude earthquake near the Samoan Islands caused a tsunami . You are currently browsing the Homepaddock blog archives for the day Wednesday, September 29th, 2010.